Domingo Delgado (1847-1896) is considered the master composer. His most outstanding works are Psalm 6, Domine Ne in Furore, for chamber orchestra and 3-part mixed choir, and a Mass for the Virgin of Providence, who is the patron of Puerto Rico. The most outstanding works of Felipe Gutiérrez y Espinosa (1825-1899) are Te Deum, for soloist, choir and organ; and Mass for Saint Cecile. He organized a music academy which produced some 250 choir singers. He also organized an orchestra which played at the cathedral. Both Delgado and Gutiérrez served at the San Juan Catholic cathedral. In Ponce, Juan Morel-Campos (1847-1896) directed the choir and composed sacred music for the choirs. These groups there were the first in the country to admit ladies, among them Lizzie Graham, who had a female choir, Laura and Georgina Capó, and Sicilita Arce. Morel-Campos organized an orchestra and also served as organist in the cathedral of Our Lady of Guadalupe. 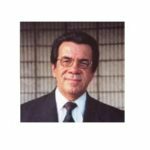 He was an outstanding composer of danzas, a genre native to Puerto Rico. In the town of Coamo: José Ignacio Quintón (1881-1925) served as organist and conductor of a women’s choir at San Juan de Illescas. His Requiem Mass for soprano, mezzo, mixed choir and orchestra is his most outstanding work. A revision made by Amaury Veray (a well-known composer) was presented in the 20th century in Coamo by the choir of the Conservatory of Music. In the cathedral of Our Lady of Guadeloupe in San Juan it was interpreted by Coral Interdenominacional de Puerto Rico and Ars Nova accompanied by the Puerto Rico Symphony Orchestra. It was conducted by Maestro Carlos Molina with Irem Poventud and Carmen Garcia as soloists. Choir directors were Luis Olivieri and Monsignor Abel Di Marco respectively. In the town of Mayaguez: José Gaudier composed a Mass for Good Friday in 1884; it is presented every year in the cathedral of Our Lady of the Candlemas. In the town of Yauco the most outstanding composer, director, organist was Ramón Morlá Trenchs (1875-1953). His most significant works are the Carmelite Mass for mixed choir, soloists and orchestra and The Seven Last Words of Christ . He also served at San Juan Cathedral and organized a choir with as many as 35 members there. In the 20th century the most outstanding choirs and their directors have been: the Mercedary Chorale (Father José María Reyes, Dir. ); Choir of the Sacred Heart, in Rio Piedras (Father José M. Yáñez, Dir.). Choir of Saint Mary Queen parish church of the Pontifical Catholic University of Puerto Rico, Ponce campus, (Father Abel Di Marco, Dir.) and the Archdiocesan Choir of Our Lady of Providence, of the San Juan Diocese. It was organized and directed for several years by Randolfo Juarbe; at present it is conducted by Chapel Master Julio Suárez-Fajardo. All parishes and cathedrals have choirs, but most of them are groups accompanied by guitars and percussion or, in some cases, by a keyboard. Choirs have been organized formally since 1928; two them, which are still singing now, are Rio Piedras Baptist Church Choir, and the Second Disciples of Christ Church Choir. In 1929 Luis Rosario Nieves organized a choir in the United Congregational Church in Santurce. In the 1930s were created the choir of the First Baptist Church in Caguas and the Choir of the Defenders of the Faith Church in Río Piedras. Presbyterian, Disciples of Christ, Lutheran, Methodist and Congregational churches organized outstanding church choirs. At present, in many churches choirs have been substituted by small groups of singers, mostly singing in unison, accompanied by soundtracks or by guitars and percussion. The Choral Association of Puerto Rico is doing its best to bring back the experience of genuine choral singing to churches, choirs that could make a real contribution to liturgy, and also to sing concert music of the great composers as well as by native composers. The Massed Choir of the Polytechnic Institute in San Germán (today, Interamerican University of Puerto Rico) was organized in 1933 by Dr. Bartolomé Bover (1903-1984). His appreciation and interest in choral music motivated him also to organize choirs in the public system of education. Bover worked on choral arrangements for his choirs, using popular and folkloric songs, and he contributed to the development of choral directors, choirs, and a vast repertoire for local choral groups. Most of his choral production is available in print. The Interamerican University has choirs in several of its campuses. At present directors in the San Germán campus are Ricardo Cabrera and Raquel Montavo, in Bayamón, Jaime Malavé, in the Metro campus, Luis Olivieri. Choral conducting courses are offered at the San Germán and Metro campuses. The University of Puerto Rico Choir was organized in 1936 by Augusto Rodríguez and developed an outstanding and extensive repertoire of his compositions and his arrangements, especially from native genres, like danzas, sacred pieces using folklore, Christmas carols, and many other sources, as well as sacred music in different languages and from different religions: Christian, Jewish and Russian Orthodox. A large number of these choral arrangements has been published. Augusto traveled extensively with the Río Piedras Campus choir, to the United States and to Latin America, and he also brought the choral experience to many cities and rural areas of Puerto Rico. This Río Piedras choir was recognized as an outstanding a-cappella choir. Other conductors of this choir were Hector Vega-Druet, Rafael Ferrer, Jaime Malavé, Clark Mallory, Luz Elena Fernández; and at present, Carmen Acevedo. The University of Puerto Rico recognizes choral art as an important ingredient of education and has choirs in all of its campuses: Cayey, Arecibo, Carolina, Ponce, Medical Sciences, Bayamón, Mayaguez and Aguadilla, conducted respectively by Amílcar Rivera, Jorge Muñiz, David Franco, Marilucy Rodríguez, Amarilys Pagán, Fernando Díaz, Edgardo Vélez, and Carmen Acevedo. Some of these choirs have chamber choirs. Choral conducting courses are offered at the Rio Piedras Campus. The Pontifical Catholic University of Puerto Rico, Ponce campus, has a choral program with several courses on this subject. The choirs are conducted by Rubén Colón-Tarrats, composer and a prolific arranger of choral music. Ricardo Pedroza directs Pro Musica, the concert choir. . The Polytechnic University has a choir conducted by Luis Ramos. The Conservatory of Music of Puerto Rico Choir was founded by Augusto Rodríguez in 1961. It developed an extensive repertoire of diverse styles and also sings choral-symphonic works, which are performed together with the Symphony Orchestra of the Conservatory and with the Puerto Rico Symphony Orchestra in different seasons, especially Christmas. It also sings in operas, zarzuelas, concerts and musical events like cinema music, and at other events. The Metropolitan University has a choir conducted by Evangeline Oliver.It has participated in some university television programs. Several university choral conductors in the past and at present are also composers and arrangers, creating an extensive repertoire for their groups. We can mention Fernando Díaz, César Santiago, Rubén Colón-Tarrats, Msg. Abel Di Marco, Luis Olivieri, Angel Mattos De Jesús, Angel Mattos Maisonet and Amílcar Rivera. Most of these choirs travel outside Puerto Rico: to the USA, Europe and Latin America, and this, besides enriching their social and choral experience, contributes to the development of new repertoire, providing a multicultural and multilingual experience. 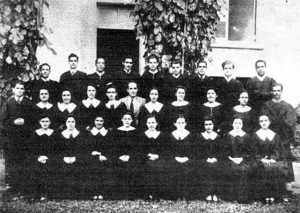 During the 1940s and 1950s school choirs flourished in Puerto Rico; the School of Education of the University offered several courses to train music teachers, band and choral directors, as well as supervising personnel. 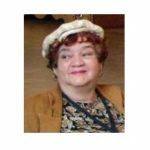 We are in debt for their contribution to: Haydée Morales-Negroni, Luis Rosario Nieves, María Luisa Muñoz, Joyce Mathews, Angel Cruz, Luis de León, Ruth Nilda Rodríguez, and many others. An annual activity that helped improve choral standards were the choral festivals sponsored by the Department of Education and organized and conducted by Augusto Rodríguez, with the help of all the choral conductors in their schools. Ponce is a town with choirs in most of its schools, Ponce High, Dr. Pila, Dr. Armstrong, with the enthusiasm and hard work of Juanita Vázquez, Juan José Ruiz, Yolanda Alvarado and others. In all the Free Schools of Music there is a choir: Arecibo, Humacao, Caguas, Ponce, Mayaguez, San Juan. The system of Fine Arts Schools also sponsors choirs and/or choir programs. Dr. Francisco López Cruz; for more than one decade it has been conducted by Néstor Hernández, who is also an arranger and provides an excellent repertoire for these young people. Outstanding choirs in private schools are: Mary Queen Academy, College of Saint Joseph, Puerto Rican School for Girls, Mennonite Academy, Perpetuo Socorro, Notre Dame, Saint John School, Robinson School, Girls’ Puertorican College, Holy Spirit, Baptist College of Caguas, Saint Ignatius Academy,. The Children’s Choir of San Juan, at present conducted by Carmen Acevedo, and the Children’s Choir of Ponce, conducted by María Inés Suárez, have daily music classes that, besides including music courses, choral practice and languages, offer concerts and travel outside Puerto Rico. 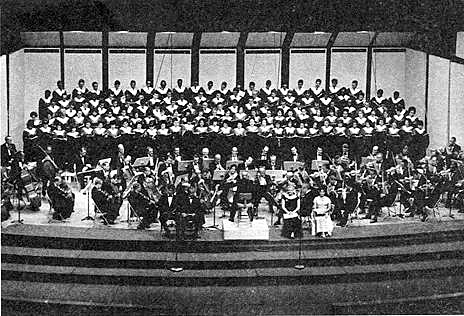 A good contribution to choral activity in Puerto Rico is received from the independent choirs, starting in 1951 with the Glee Club of the Air, followed by the Choir of Bayamón, San Juan Chorale, the Madrigal Singers of Arecibo, Coral Polifónica de Ponce, Ars Nova, Coro Polifónico de Aguadilla, Coral Filarmónica de San Juan, Coro de Niños de San Juan, Coro de Niños de Ponce, Orfeón Caribeño Randolfo Juarbe, Coral Santa Cecilia, Orfeón San Juan Bautista, Coro Polifónico del Oeste, Schola Cantorum de Puerto Rico, Coro Sinfónico de Puerto Rico, Coral Augusto Rodríguez, Coro de Ex-alumnos de Agusto Rodríguez. The Puerto Rico Symphony Orchestra includes choral works in its seasons, as does the International Festival of the Arts. Most of the well-known works from the standard repertoire for choir with symphony orchestra have been performed in Puerto Rico with the participation of local and visiting choirs. Puerto Rico is rich in choral compositions but most of the pieces are still in manuscript. Choirs have used extensively the music composed by Pablo Fernández-Badillo, Canciones Hispanoamericanas, Cantares de Navidad; two books with arrangements by Augusto Rodríguez, two books with Bartolomé Bover arrangements, edited by the Choral Association of Puerto Rico. Ediciones Coral Interdenominacional and Ediciones Schola Cantorum have also published some material. The Department of Education published some choral music by Héctor Campos Parsi, and by Alfredo Romero Bravo. The catalogue of the music by Felipe Gutierrez-Espinosa was published by Guillermo Meléndez. Rubén Colón-Tarrats and Msgr. Abel Di Marco have published their compositions and arrangements in Choral Music (1) and Choral Music (2) – Christmas. Ediciones Schola Cantorum has published an Anthology of Puerto Rico Sacred Choral Music. 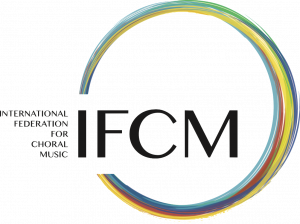 Among the most outstanding composers with premiered pieces either in Puerto Rico or in other countries, we find : Esther Alejandro, Roberto Milano, Pablo Casals, Ovidio Morales, William Ortiz, Noel Estrada, Ignacio Morales-Nieva, Alfredo Romero-Bravo, Narciso Figueroa, Roberto Sierra, José Antonio Ruiz, Ramón Morlá-Trenchs, Luis Manuel Alvarez, Héctor Campos-Parsi, Amaury Veray, Raymond Torres, Evy Lucío, Guarionex Morales, Pablo Fernández-Badillo, Angel Herdz. Evelyn Robért is a music teacher, choir conductor and choir singer; a curriculum specialist (arts, theology and languages), and is the researcher and communication coordinator for the multicultural and multilingual committee of the Choral Federation of the Caribbean and Central America.